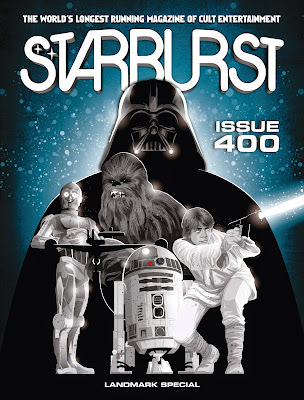 The four hundredth issue of Starburst Magazine is out today, and I'm very proud to have contributed to the big anniversary feature - a look back at how sci-fi, fantasy and horror have developed across the lifetime of the magazine. My section covers the 2000s and onwards, as I'm the young and energetic kind of writer, except for the energetic bit. Unfortunately, my copy's currently across the Pennines from me (going back to York for my final term of university on Sunday... eek), but I can tell you it's (probably) a landmark issue worth buying.